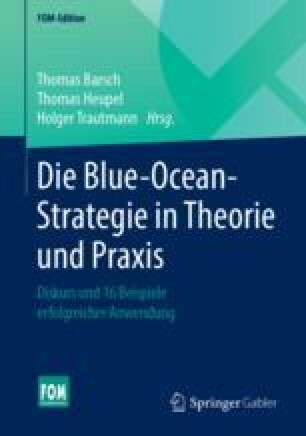 The objective of this article is to analyze the Blue Ocean Strategy® in China, especially in e-commerce. This contribution mainly focuses on four e-commerce companies by analyzing their business-models and developments. In China, Blue Ocean Strategy® has been ardently discussed since the Chinese market has become increasingly mature. According to data from World Bank, its GDP is 9.24 trillion US dollars and accounted for about 15% of the world GDP in 2013. About: Chinese New Year. ‘CCTV New Year’s Gala’. http://chineseculture.about.com/od/chinesefestivals/a/Chinese-New-Year-Cctv-New-Years-Gala.htm. Accessed 7. June 2015. Alibaba Group. Alibaba SEC Filings. https://www.sec.gov/Archives/edgar/data/1577552/000119312514184994/d709111df1.htm. Accessed 22. July 2015. Alibaba Group. Homepage about us. http://ab.alipay.com/i/jieshao.htm. Accessed 21. June 2015. Alibaba Group. Homepage. http://www.aliloan.com/. Accessed 21 June 2015. Alizila. AliCloud Races to Build Cloud Infrastructure. http://www.alizila.com/alicloud-races-build-cloud-infrastructure. Accessed 21 May 2015. Alizila. PRC Companies to Invest $16 Billion in Logistics Network. http://www.alizila.com/prc-companies-invest-16-billion-logistics-network. Accessed 11 June 2015. Baidu. Homepage about. http://www.baidu.com. Accessed 25 June 2015. Blueoceanstrategy. Homepage. http://www.blueoceanstrategy.com/. Accessed 21. May 2015. Blueoceanstrategy. Elibrary. https://www.blueoceanstrategy.com/elibrary/. Accessed 16. June 2015. Chinadaily. Alibaba, partners establish national logistics network. http://usa.chinadaily.com.cn/business/2013-05/29/content_16542115.htm. Accessed 2. Aug. 2015. Chinaeconomic. Taxing Taobao. http://www.chinaeconomicreview.com/taxing-taobao. Accessed 7. June 2015. CIA. The world Factbook. https://www.cia.gov/library/publications/resources/the-world-factbook/geos/ch.html. Accessed 15. June 2015. Dailymail. biggest IPO in US history. http://www.dailymail.co.uk/sciencetech/article-2761551/Alibaba-prices-IPO-68-share.html. Accessed 4. June 2015. Forbes. How EBay failed In China. http://www.forbes.com/sites/china/2010/09/12/how-ebay-failed-in-china/. Accessed 8. Aug. 2015. Forbes. Alibaba: here are the key growth drivers in the Chinese E-Commerce market. http://www.forbes.com/sites/greatspeculations/2015/06/02/alibaba-here-are-the-key-growth-drivers-in-the-chinese-e-commerce-market/. Accessed 21. June 2015. Hexun. 无心插柳柳成荫,“无知无畏”做电商(1). http://data.book.hexun.com/chapter-17738-1-12.shtml. Accessed 27. June 2015. Iclick Interactive. China eCommerce market analysis report 2013. https://www.slideshare.net/brentc123/china-ecommerce-market-analysis-final-report-2013/2-Table_of_Contents1_Industry_review. Accessed 21. June 2015. JD. Homepage Corporate profile. http://en.jd.com/help/question-7.html. Accessed 15. June 2015. People.cn. O2O入侵广场舞大妈群体:打造京东配送员. http://history.people.com.cn/peoplevision/n/2015/0330/c371464-26769822.html. Accessed 16. June 2015. Quandl. GDP as Share of World GDP at PPP by Country. https://www.quandl.com/c/economics/gdp-as-share-of-world-gdp-at-ppp-by-country. Accessed 13. June 2015. Reuters. Xiaomi revenue doubled to $12 billion in 2014: CEO microblog. http://www.reuters.com/article/2015/01/04/us-xiaomi-sales-idUSKBN0KD0CQ20150104. Accessed 28. July 2015. Taobao. What is Alipay-Paypal of China. http://taobaoshopping.org/what-is-alipay-paypal-of-china/. Accessed 12. June 2015. Techinasia. China’s ecommerce market was worth $2 trillion in 2014. https://www.techinasia.com/chinas-ecommerce-market-worth-2-trillion-2014/. Accessed 28. May 2015. Tencent. Homepage about. http://www.tencent.com/en-us/at/abouttencent.shtml. Accessed 21. May 2015. The World Bank Group. Data of China. http://data.worldbank.org/country/china. Accessed 13. June 2015. Xiaomi. Homepage about. http://www.mi.com/en/about/. Accessed 2. Aug. 2015.